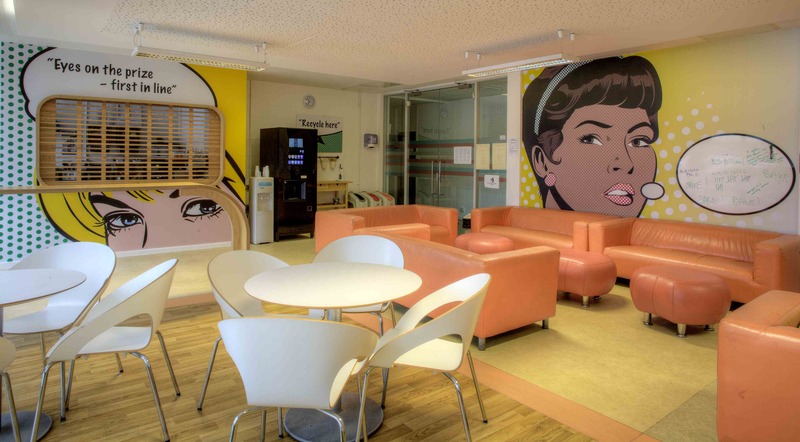 6th form Common room at Haberdashers’ School for Girls. 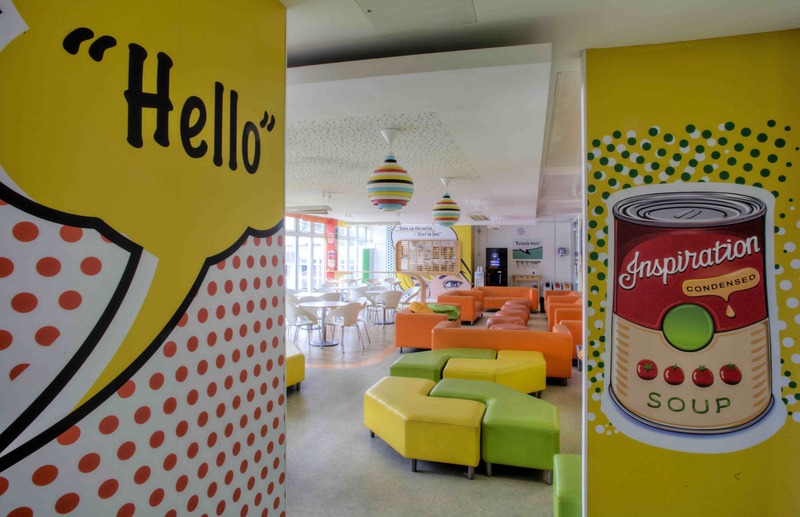 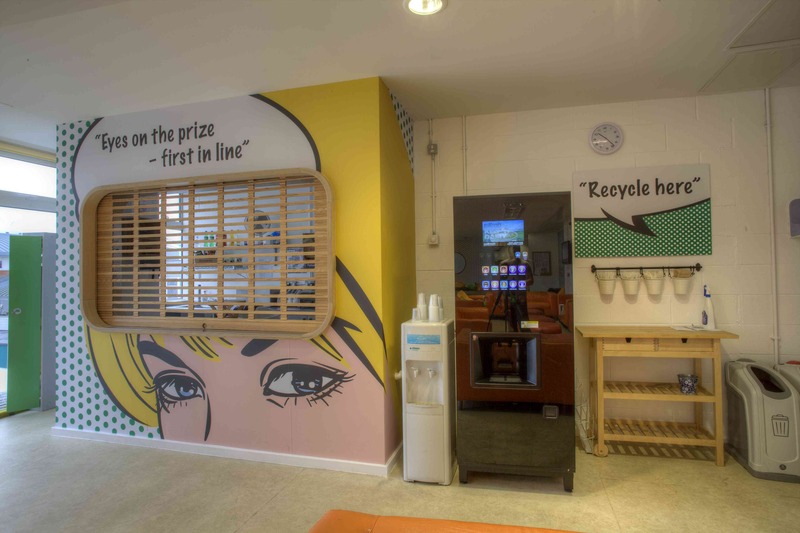 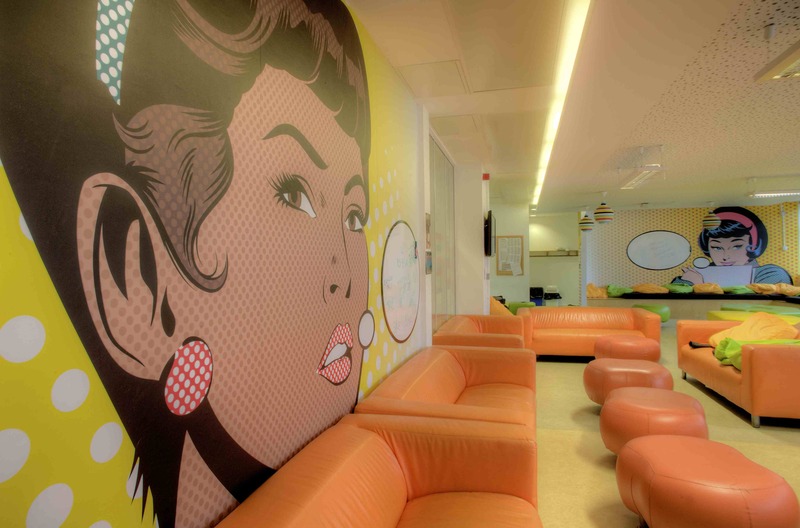 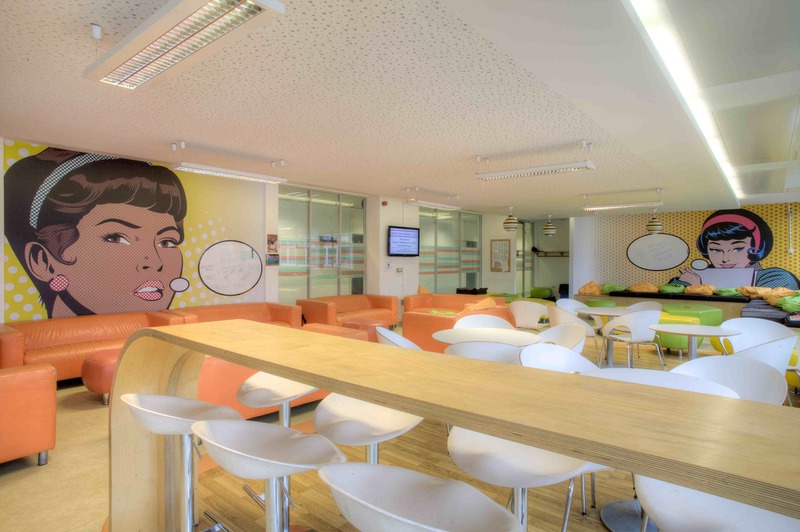 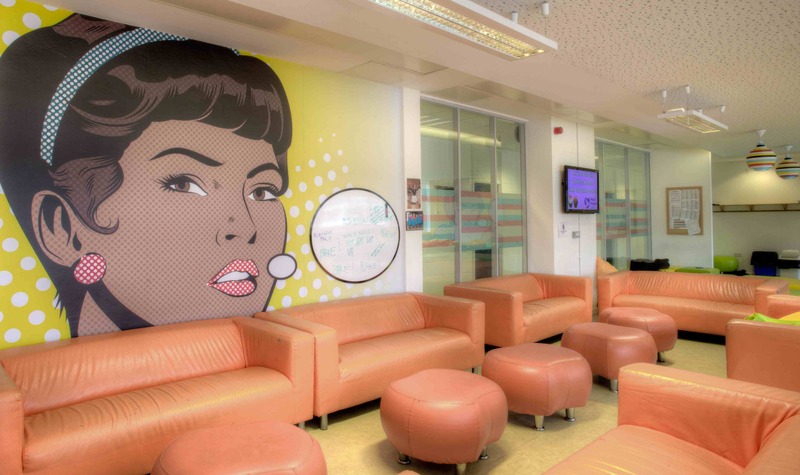 We were asked to design produce and install a Pop art themed room for this renowned independent day school in Elstree. 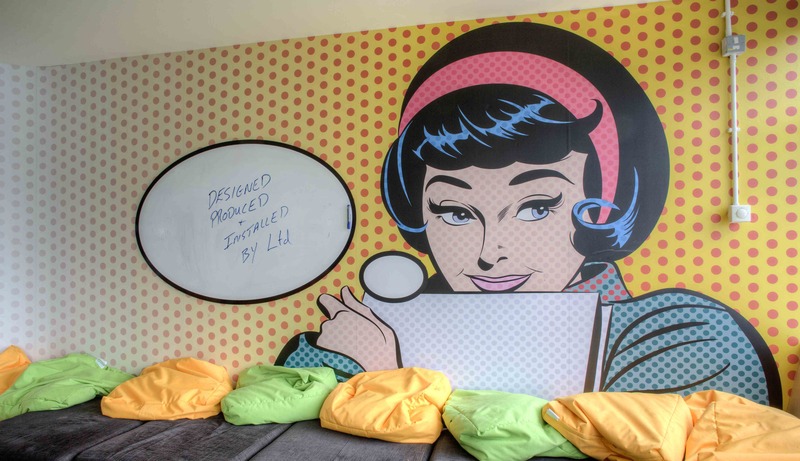 Our favourite feature was making all the speech bubbles into dry wipe boards so the girls could write messages on the walls.